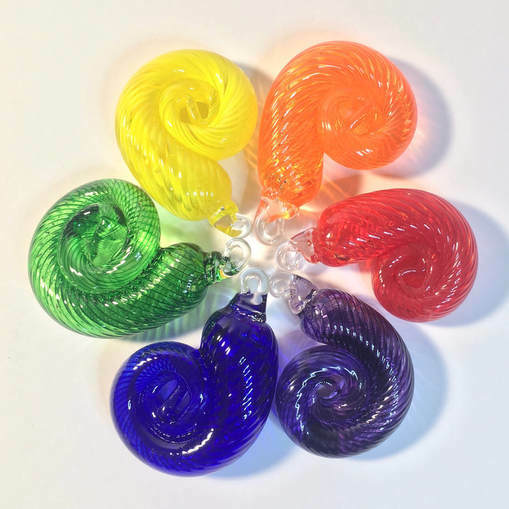 Chad first started working in Glass in Minneapolis in 1996 as a balmy summer job. 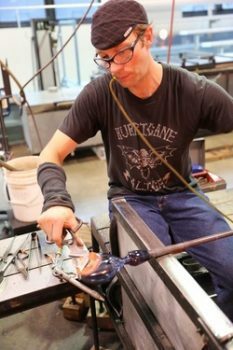 “I’ve been chasing it ever since.” Following “hot glass” to the headwaters of the Mississippi river, to Seattle, and then to Louisville in 2003 where he was invited to be a resident artist at Louisville Glassworks; producing art, teaching classes and building mobile glass studios. 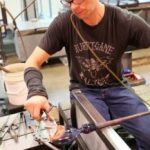 In 2012 he started Chad Balster Glass, concentrating on making new and innovative production designs, and one of a kind works of glass art. You can find his work in galleries from British Columbia in “Pacific Wave Glass Art ltd.”, to the tip of Florida in “Hollywood Hot Glass“. He participates in a number of Art Fair exhibitions throughout the midwest and south: Notably: St. James Court in Louisville, Loring Park Art Fair in Minneapolis, and SummerFair in Cincinnati. 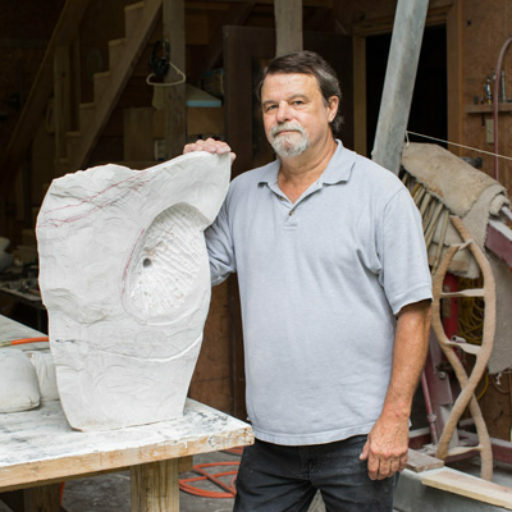 Larry Beisler’s Inspiration for his stone sculptures comes mostly from nature. Carving is his greatest love. He has no preconceived idea as to what he is going to create, but lets the stone tell him what it has to reveal. Larry lives and creates near Elizabeth, Indiana. 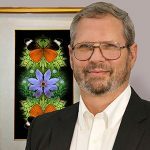 He is an award-winning artist and has exhibited widely in the Kentuckiana area. 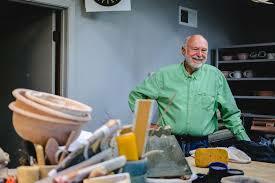 His work is included in numerous public and private collections. 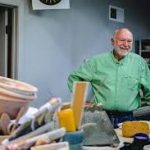 While Carl deGraaf creates a wide range of products including some unusual items for a potter, bookends for instance, he says his hand-crafted mugs receive the most attention during construction. Carl considers himself a production artist, often working on 40 to 50 pieces in a session. He uses the traditional throwing wheel, but also works through press molding, extrusions, slab and hand building, often in combinations. 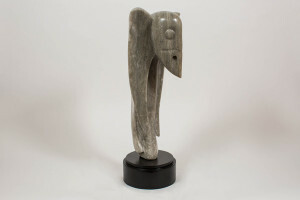 Regardless of the technique, each of his pieces is unique, some with uncommon surface textures or carvings. Kentucky Arts Council juried artist since 2005. 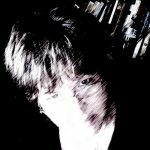 My work depicts the forms and colors of nature using photography and a combination of painting and drawing techniques. Evelyn Fried considers herself a hunter-gatherer by nature. Her works include pieces of this and that, each whispering a special something to her. Likewise, collage has always fascinated her, pieces of this and that, coming together to start anew. She considers her work a 3D collage, a means to give new life and new meaning to the pieces that she has collected along the way. It is playful and a little bit more. Wini is a native of Southern Indiana and has a BA in Fine Arts from Indiana University Southeast. 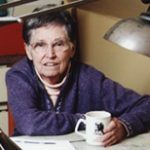 She has taught Oil Painting Classes for the past 15 years and has exhibited work both locally and regionally. Currently she is teaching six classes a week at Preston Arts Center in Louisville and at ArtSeed in New Albany, Indiana. Her subjects, methods and style vary with what she is teaching. I urge my students to focus on process not product and repeat the mantra (ad nauseum) “it’s the journey not the destination”. My students are my teachers and my fellow alchemists on this journey. They often tell me that they keep returning to paint because “it’s cheaper than therapy”. 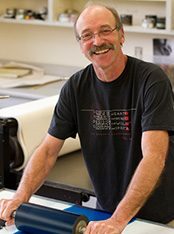 Brian H. Jones is Professor Emeritus of Fine Arts at Indiana University Southeast in New Albany, where he taught printmaking and drawing for 36 years. 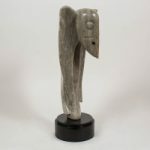 His work has been exhibited in over 35 solo exhibitions and in over 200 international, national, and regional exhibitions, receiving numerous awards at each level. 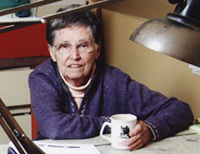 Brian’s work is further represented in museum, university, and corporate collections, including the University of Maine Museum of Art, the Amity Art Foundation, Lauren Rogers Museum of Art, Biblioteque de France, Paris, the Huntsville Museum of Art, the Utah Museum of Art, the University of Louisville Print Archive, and the Philadelphia Museum of Art. Brian has received over 15 individual artist fellowships to such programs as the MacDowell Colony, the Corporation of Yaddo, and the Virginia Center for the Creative Arts. 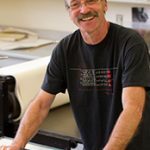 Brian has served as president on several Boards including the Mary Anderson Center for the Arts, The Mid America Print Council, and the American Print Alliance. Shawna Khalily grants us a peep inside herself – a place to scrutinize what lies beyond the surface through images that are ripe with religious iconography, themes of love and a small dose of the sinister. Her swirling woodcuts are rendered in precise detail through the use of finely cut dynamic lines. She also expands on traditional Japanese printmaking techniques and includes touches of paint and color that enrich and enliven her compositions. Khalily’s work has an exquisite grace that finesses the senses through rich depth created by visually complex layers. I live in Louisville, Kentucky. My home is called Kasbah Khalily, which I share with my two children, almost ready for college, and my two Australian Shepherds. The adjoining studio is called Gallery ExVoto. An image of this Latin phrase is my print stamp and is also a tattoo on my left arm. It means a work of art as a sacred gift or offering. 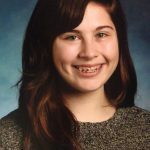 Gracie Koesters is currently a student at Presentation Academy and graduated from Saint Anthony of Padua School in 2017. 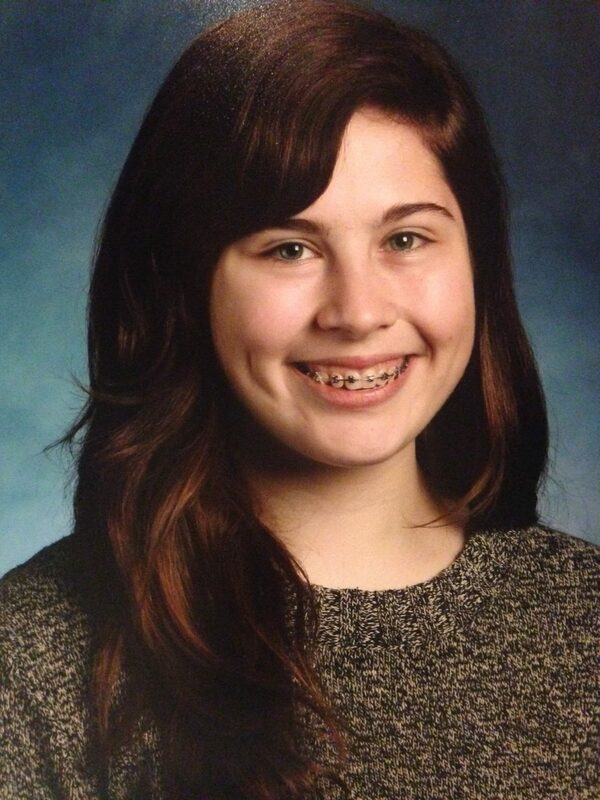 She has been interning with Julie Schweitzer for four years. Gracie first started interning with Julie at the Arts Council of Southern Indiana. Now, she interns with Julie at ArtSeed, an arts organization that is owned and operated by regional artists in New Albany, Indiana. Throughout her time as an intern, Gracie has participated as an exhibiting artist, curated and installed exhibits, written press releases, assisted with grant writing, managed social media and website content, created, planned and facilitated events. 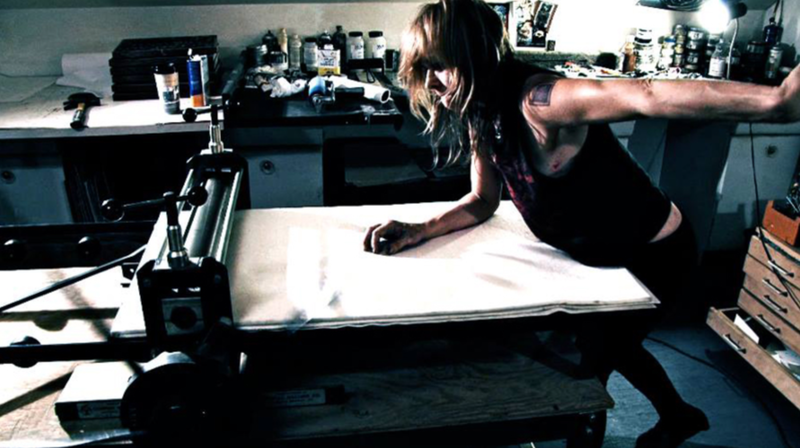 Her educational background includes: painting, sculpting, printmaking, drawing, wood arts, and playing guitar. Her community activities include: STEAM Club, Book Club, and Presentation Theater scenic designer. Her aspirations are to become a working artist in our community. Designed by Purdue Polytechnic New Albany. Blossom Chic by Blossom Themes. Powered by WordPress .